Finally, the last look of the series is upon us. 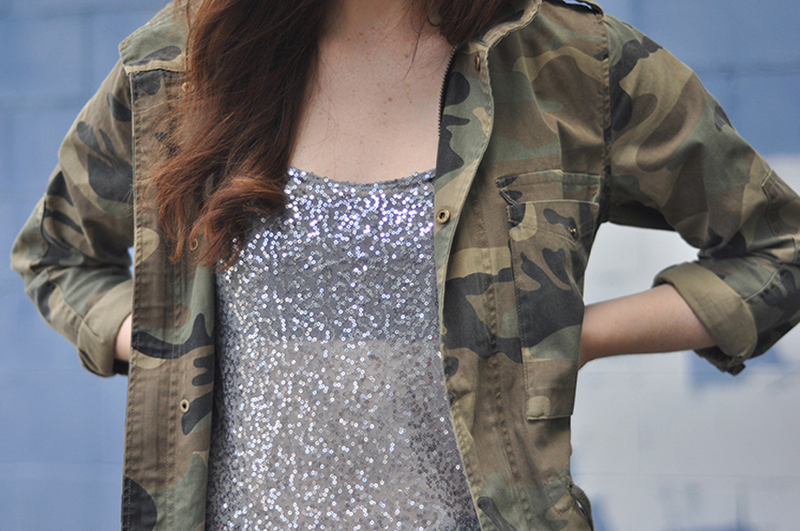 Are you as sick of camo as I am by now? 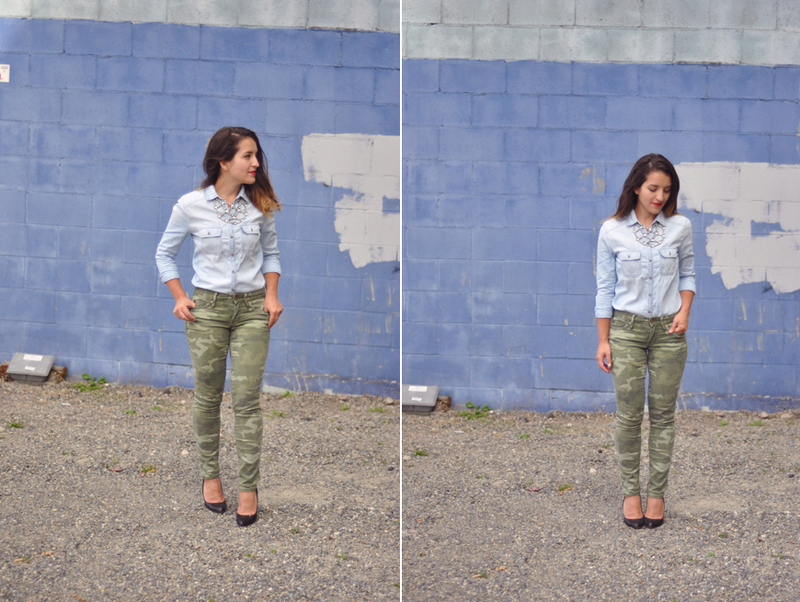 When you're keeping things casual and menswear inspired, go for a structure chambray top to pair with your camo piece. 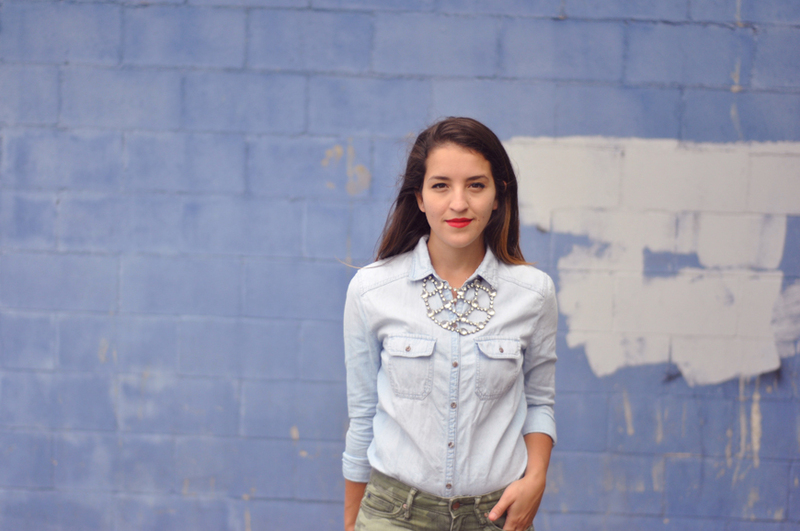 If you do happen to want to dress it up a bit, a statement necklace or fancy heels will do the trick. 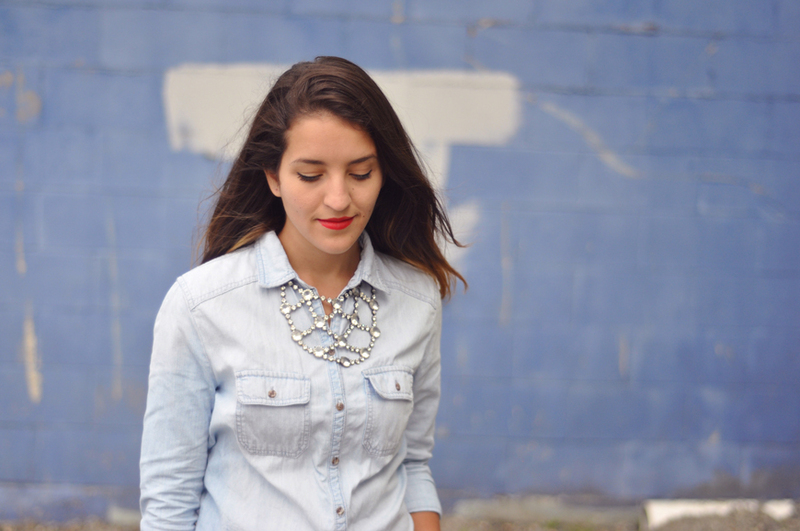 What I'm wearing - pants: the gap // top: nordstrom bp // necklace: bloomingdale's // shoes: christian louboutin // lip color: revlon "fire & ice"
This marks the end of our first Double Take series. Tune in next week for a new set. If you're curious to see how Alexis styled her third look of the series, check it out (here).